So when I was little there were three things I wanted to do. 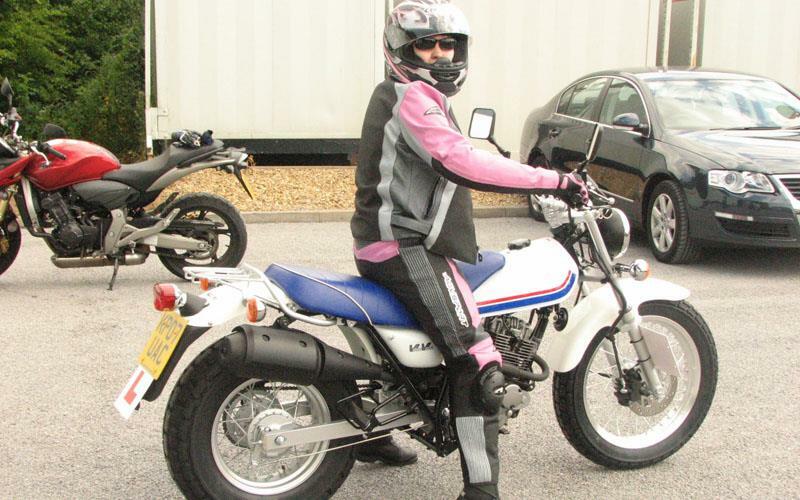 So having dabbled on the car with my dad since I was about six and done amateur dramatics for more than 15 years I now had the last one to achieve so I thought I would share with you all how I’m doing as a learner rider. Since joining motorcyclenews.com last year I have been keen to get out on the road and a couple of pillion rides with my colleague and friend Angus Farquhar only confirmed that. I am one of those people who get in to traffic with a load of bikers and can’t help staring at them to see what they’re riding and try to pick up tips. Going to race events like World Superbikes or British Superbikes is a nightmare as I’m just jealous of those on two wheels all around me. It has taken me a few months to get my kit together with a lot of help from Mandi and Guy at the M Partnership (AGV Sport), Dan Sager at Fab Biker and Dan Allinson at Frank Thomas so thanks guys. 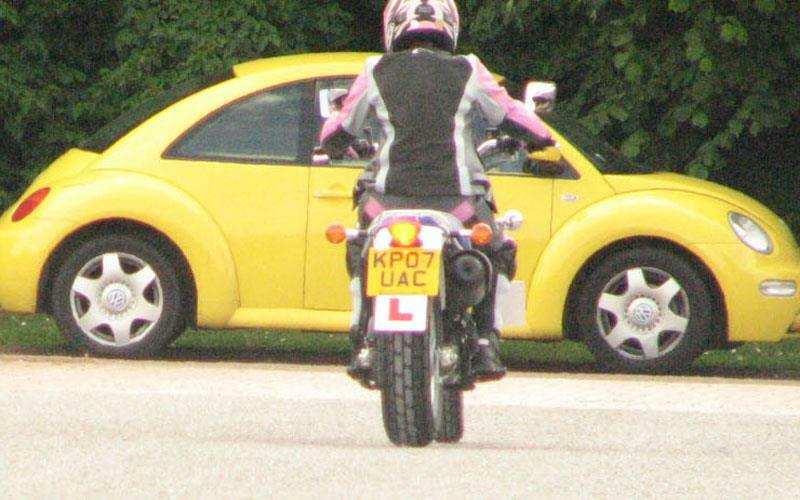 But back in May I made my first attempt at my Compulsory Basic Training (CBT). 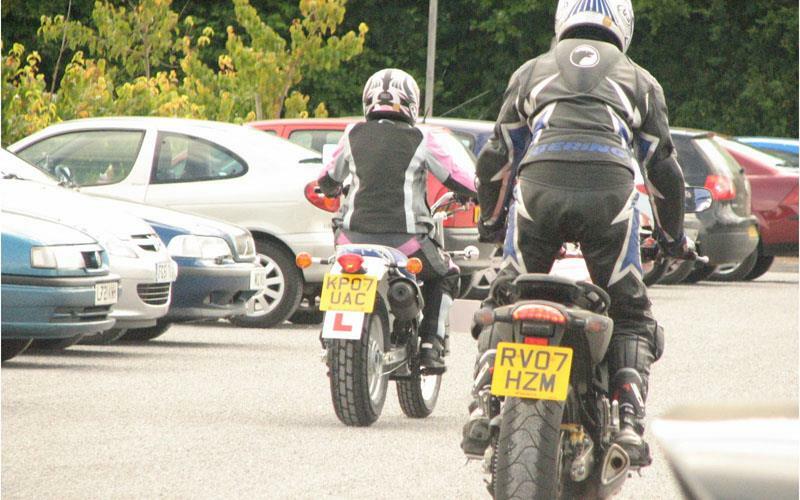 This is a day course which costs around £100 and gets you on the road on L plates. Part of the day is spent in a classroom learning about the type of protective clothing you should wear and the basics of riding on the road. The rest is spent riding around cones in a private car park before you’re allowed out on the road. I’m not exactly a natural with this kind of thing and I admit I did struggle to get the hang of wheeling in and out of cones and just getting used to the controls on a bike having driven a car for almost 10 years. Yes I have to admit I made several successful attempts at throwing the Yamaha SR I was using on the floor and just as you get with driving, it’s the clutch control that gave me the most gip. I either stalled or took off loads faster than I wanted to. But I was determined not to give up and went back for a morning one-to one session at CAM Rider in Peterborough. Getting back on after over a month wasn’t as bad as I thought it would be and before long I was allowed to go out on the roads. The instructor is fitted with a microphone and you get an earpiece to receive instructions as you go. I managed to get through the elements required, which include slow riding and doing a u-turn and returned to work with a massive grin on my face. I have to admit once I got back to the centre I couldn’t believe I had passed but knew there was going to be no stopping. I have been lucky enough to be offered the chance of doing my Direct Access with Suzuki but I wanted to get my CBT passed and some practice before then so I didn’t make a total prat out of myself. I have now been loaned a Van Van from Suzuki so thanks to Luke and Helen at Suzuki for organising this. 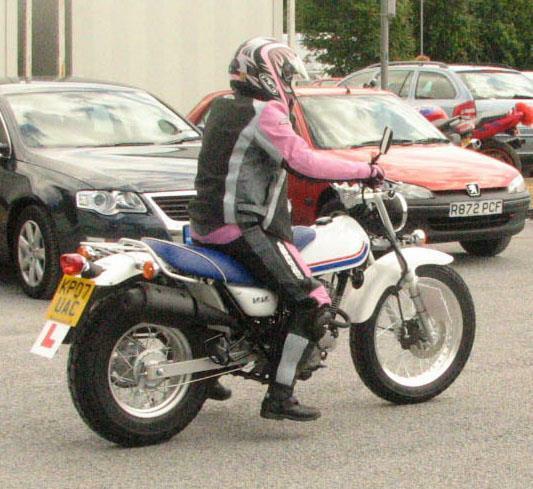 This is a 125cc motorcycle, which I can ride on L plates having passed my CBT. It has caused great amusement around the office with all the guys here on anything from Honda Hornets to Kawasaki ZX10R’s but I like it and it’s been good to me over the past week. The guys are really secretly impressed and have all tried to have a sneaky go around the car park. I had to get Dan Thornton, or DanT as he is known on the forums here, to ride with me home as I had not ridden for two months and didn’t want to be on my own for the first time on a brand new bike. By the time I had re-established myself with my AGV Sport leathers, which hadn’t been worn since Butlins, and was fully kitted out in back support, gloves and lid, I was just about ready to pass out with the heat! And so here was the time I jumped on my new friend and rode her home. There were no great dramas thank goodness and despite stalling at a couple of junctions I can honestly say my clutch control is improving. So things Dan noticed on the way home were: stopping too early before a junction, not getting up to speed quickly enough and that I need to relax. And so the streets around me will be that learning ground. I will give you latest soon so check back to see how I’m getting on….